Big news in Shondaland. 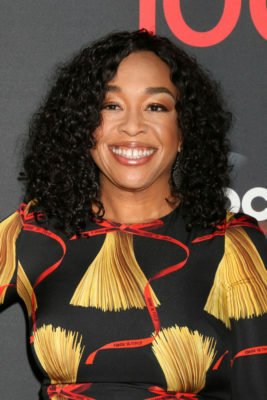 Recently, it was announced TV mega-producer Shonda Rhimes is leaving ABC for a multi-year deal with Netflix. Rhimes executive produces several top-rated series on ABC, including Scandal, Grey’s Anatomy, and How to Get Away with Murder. She has also produced the cancelled ABC TV shows Private Practice, The Catch, and Still Star-Crossed. So what does this move mean for Rhimes’ ABC dramas? According to Netflix’s announcement, Scandal, Grey’s Anatomy, and How to Get Away with Murder will continue on ABC and continue to be produced by Rhimes and her production company, Shondaland. Though, Scandal is headed into its seventh and final season this fall (October 5th). Hollywood, CA – August 13, 2017 — Prolific writer, producer and television hitmaker Shonda Rhimes is bringing her Shondaland production company to Netflix under a multi-year deal to produce new series and other projects. Longtime producing partner, Betsy Beers makes the move to Netflix as well. The move further unites Rhimes with Netflix. While Shondaland’s award-winning series such as Grey’s Anatomy, Scandal and How to Get Away with Murder air in the U.S. on ABC — and will continue to — How to Get Away with Murder streams everywhere else in the world on Netflix, with Grey’s Anatomy and Scandal available on Netflix in many regions as well. “Shondaland’s move to Netflix is the result of a shared plan Ted Sarandos and I built based on my vision for myself as a storyteller and for the evolution of my company,” said Rhimes. “Ted provides a clear, fearless space for creators at Netflix. He understood what I was looking for — the opportunity to build a vibrant new storytelling home for writers with the unique creative freedom and instantaneous global reach provided by Netflix’s singular sense of innovation. The future of Shondaland at Netflix has limitless possibilities. What do you think? Are you a fan of Shonda Rhimes’ TV shows? Will you watch her upcoming series(s) on Netflix? More about: ABC TV shows: canceled or renewed?, Grey's Anatomy, Grey's Anatomy: canceled or renewed?, How to Get Away with Murder, How to Get Away with Murder: canceled or renewed?, Netflix TV shows: canceled or renewed?, Scandal, Scandal: canceled or renewed? I will definitely follow her shows to Netflix. I already tend to save up shows like How to Get Away With Murder to watch all at one time. I do not have Netflix so no, I will not be able to enjoy any of her shows. However, I wish her all the best of continued success.